Bringing together “Writing on the Wall,” composed some ten years after H.D.’s stay in Vienna, and “Advent,” a journal she kept at the time of her analysis there, Tribute to Freud offers a rare glimpse into the consulting room of the father of psychoanalysis. It may also be the most intimate of H.D.’s works. 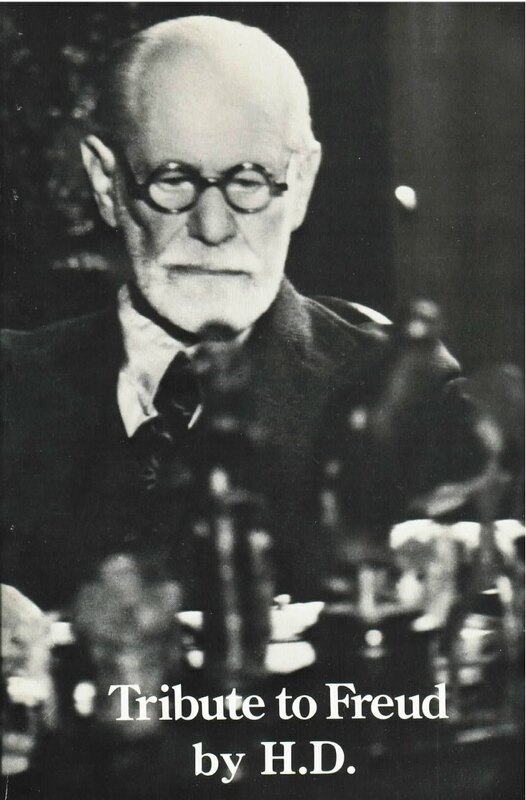 Compelled by historical as well as personal crises, the poet worked with Freud during 1933-34. The streets of Vienna were littered with tokens dropped like confetti on the city, stating “Hitler gives work,” “Hitler gives bread.” Having endured World War I, she was now gathering her resources to face the second cataclysm she knew was approaching. In analysis, Hilda Doolittle explored her Pennsylvania childhood, her relationships with Ezra Pound (inventor of her nom de plume H.D. ), Havelock Ellis, D.H. Lawrence, her ex-husband Richard Aldington, and subsequent companion Winifred Ellerman (“Bryher”), as well as her own creative processes. Freud, regarding H.D. as a student as well as a patient, was hardly the detached presence one might imagine. Revealed here in the poet’s words and in his own letters, which comprise an appendix, is the considerate friend, the charming Viennese gentleman––art collector, dog lover, wit––and the pioneer, always revising his ideas and possessed of an insight that could be terrifying in its force.